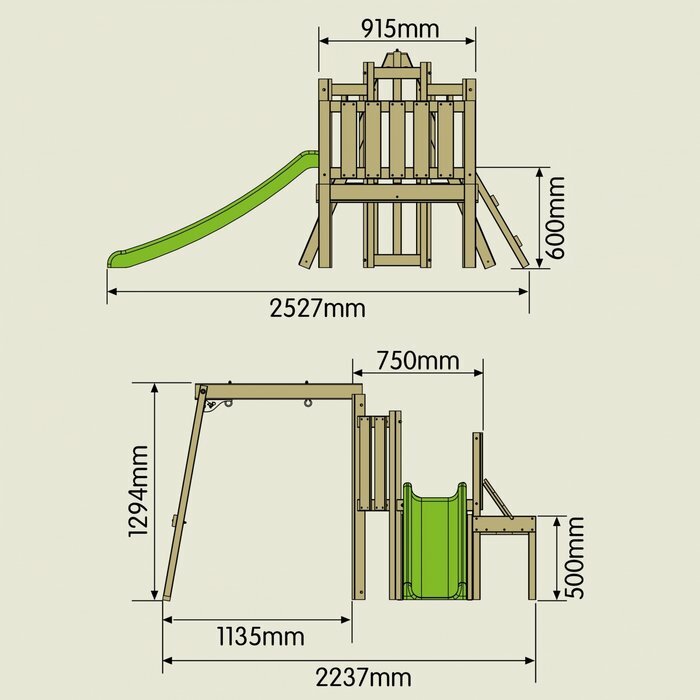 Attractive toddler wooden playcentre that is perfect for children from just 18 months and the swing seat from 6 months. Made from FSC certified European wood. Swing, slide, climb and dig with this lovely toddler activity playcentre. 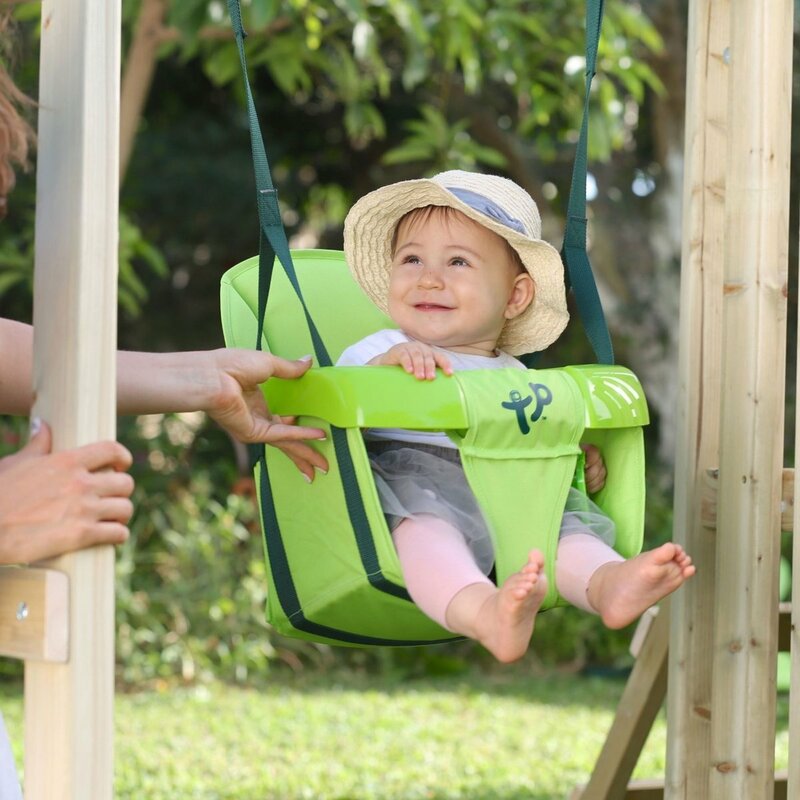 The playcentre comes complete with the comfy all fabric foldaway swing seat, fun lime slide and table sandpit with all wood cover to keep the sand clean. Supplied with ground stakes. Write a review about "TP Forest Toddler Wooden Swing Set and Slide"
We'd love to hear your opinion! 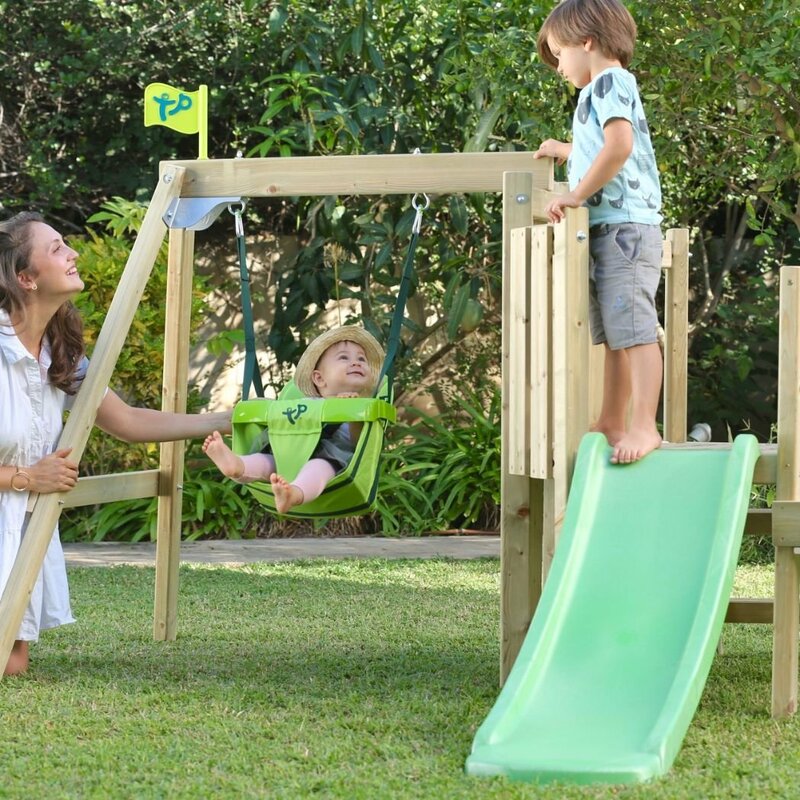 Write a review on “TP Forest Toddler Wooden Swing Set and Slide” today.